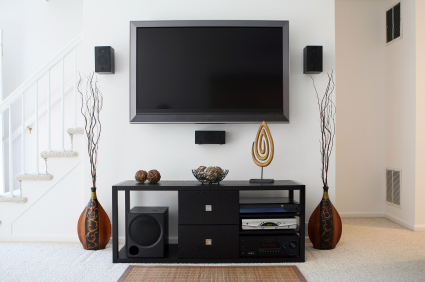 We would like to help you choose and design the right components for your home entertainment system. Are you considering a specialist to help you with premium acoustics, clarity, placement and lighting from your choice of T.V.s to projectors? Our trained technicians will mount t.v.’s, projectors and speakers (including in-wall speakers), will hide wires for a cleaner look, and can provide additions or other follow up services. A home entertainment system can increase the value of your home and change the aesthetics of any space. Whether your project is small or large, we can help your ideas come to life and help you create your dream system. Call our experienced technicians today for a new system, technical support and to add-on components.